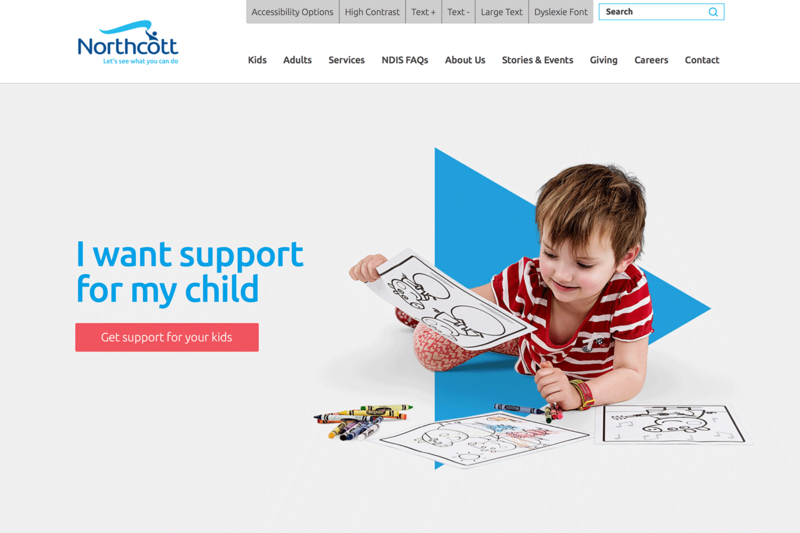 We've worked closely with Northcott in preparation for the NDIS rollout. The results: without changing the brand mark, we created a brand platform true to their brand heritage and packed with dynamism to visually articulate the 'can do' attitude applicable to every employee and customer. As one of our founding Australian clients, we continue to work with Northcott and Northcott Innovation on projects spanning all channels. The hero of Northcott’s logo is the flagbearer. To align the brand, we took inspiration from the flag as both a communications device and graphic symbol, to represent the brand visually, and unite the diverse range of services, customers and values. The rebrand has been applied to a custom Wordpress site and email templates, integrating with existing systems to improve accessibility, back-end control and tracking. This has empowered Northcott to take more control over their own digital content and greatly reduce service overheads.